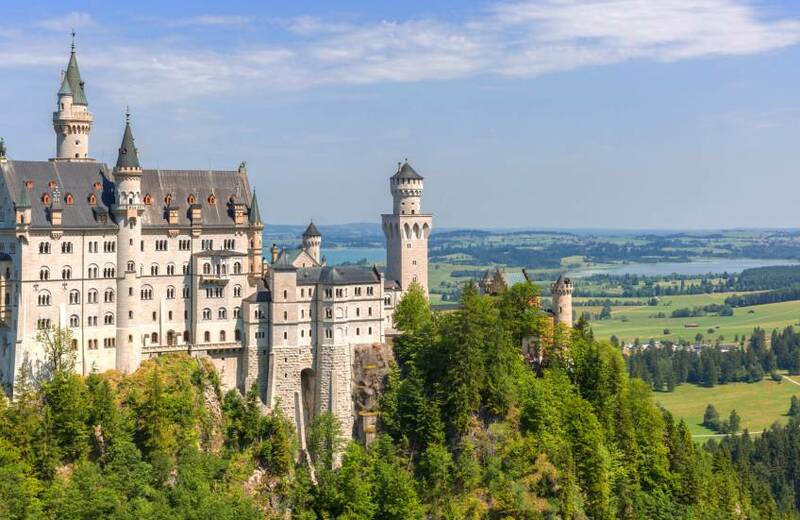 Even though many peoples think so it were NOT the makers of Disneyland or the Las Vegas Illusionists who brought Neuschwanstein Castle – known around the world and even in mandarin or kanji as Cinderellas Castle – in scene. 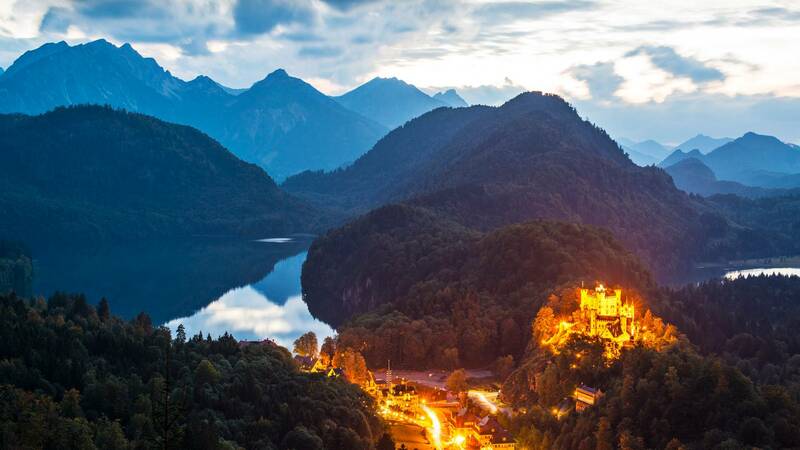 Neuschwanstein Castle was built by the Bavarian King Ludwig II. 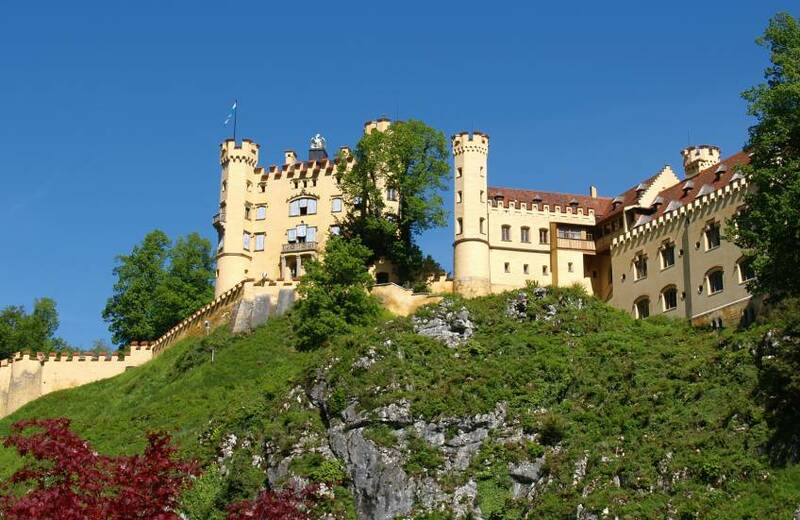 But there is more worth seeing: Visit the impressing testimonial of architectural art, the castles Linderhof, Hohenschwangau as well as the Castle Füssen and the Wieskirche, a marvellous baroque church. 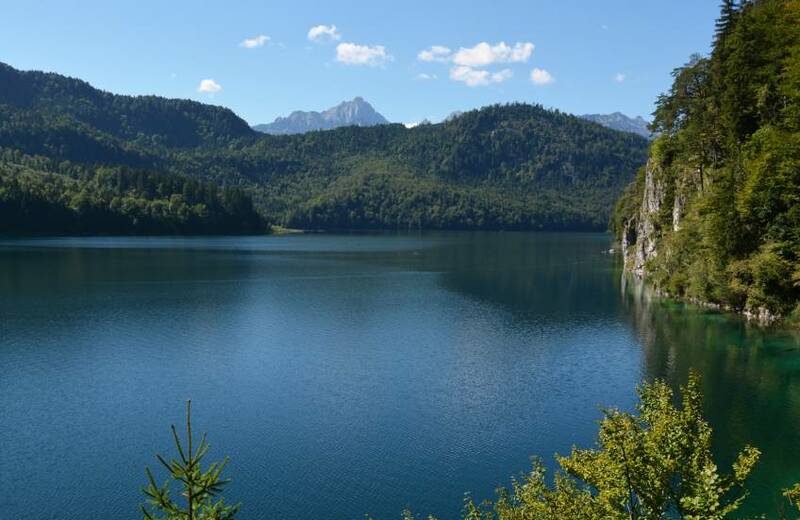 If you have already explored the immediate surroundings by foot or bike it is not the question what else there is to see but rather, what to see first! 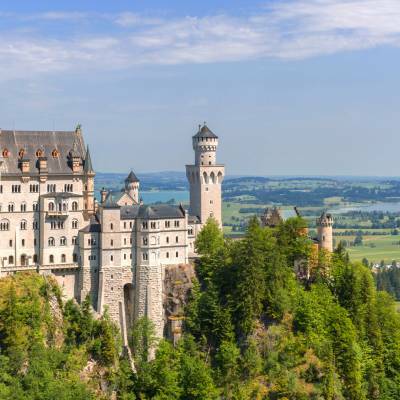 Whether you visit Munich's (100 km) German Museum, go shopping in Munich's Theatinerstrasse, or visit Innsbruck's (100 km) Alpine Zoo. 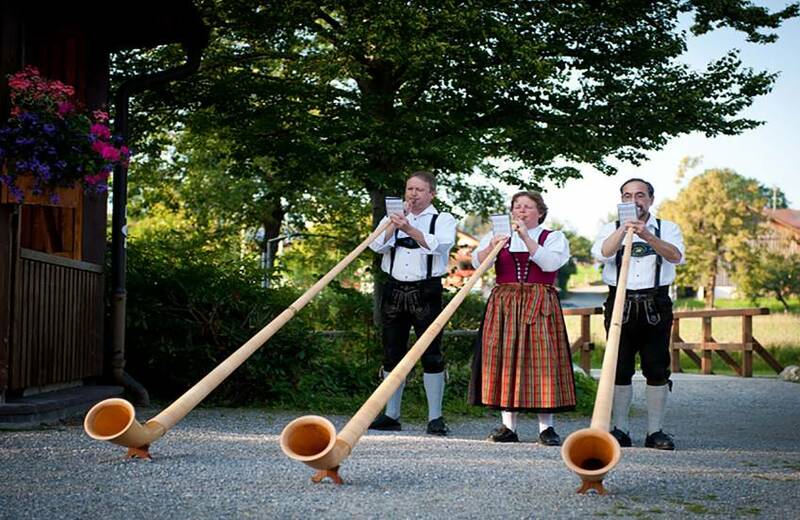 Or maybe you'd rather go to Lake Constance and the "Drei-Länder-Eck", Mainau Island (120 km), or the Zugspitze. 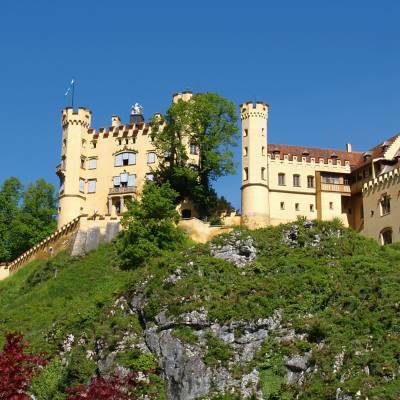 Alternatively, explore Schloß Herrenchiemsee (160 km) or Kempten (30 km), one of Germany's oldest cities. The choice is yours! 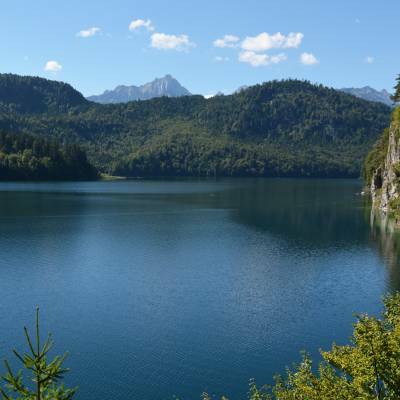 Many of these destinations can be reached by public transport or local bus tour operators. These alone would add up to a more than abundant holiday schedule. 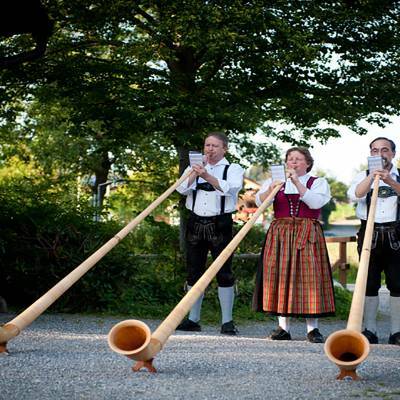 Bavarian traditional costumes and Christian roots have always characterized the region along river Lech - glorious churches and chapels create fond memories, both in a religious and cultural significance. 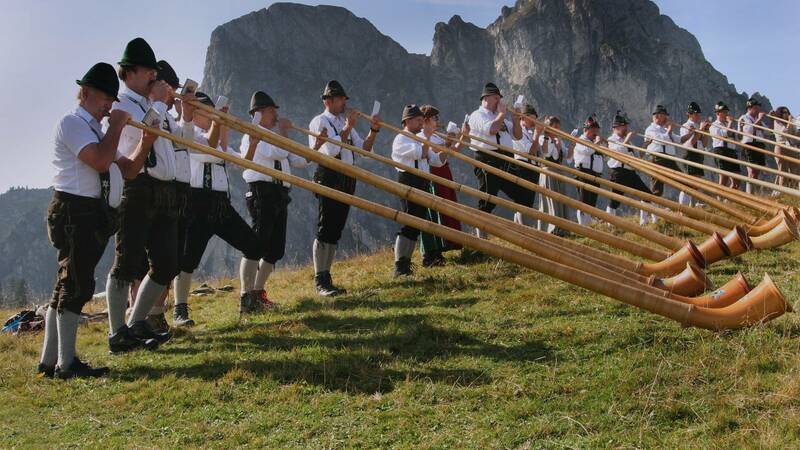 But also joyful festivities throughout the year - from erection of the Maypole to romantic Christmas markets - clearly show: This is an area to enjoy life. famous churches, abbeys and historic towns provide the perfect stage for high-class orchestras, ensembles and soloists. Ottobeuren, one of the biggest abbeys in Europe, and since 60 years home of the world famous concerts in the Basilica. 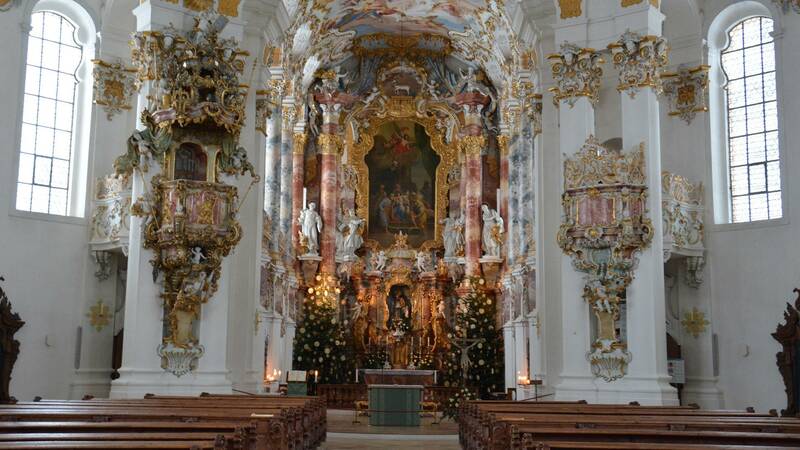 Summer in Wieskirche - Baroque splendor - the summer festival in Wieskirche, a gem within the UNESCO world cultural heritage.